Cut the circle out of the front of the base card using the second largest die and then out of the same cardstock nest this die into the largest die. 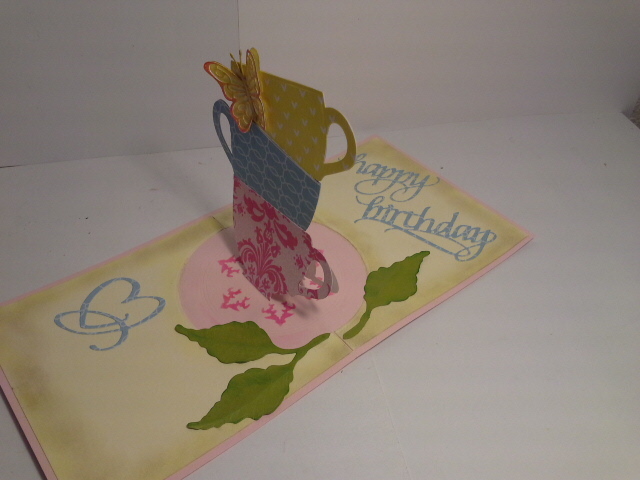 Secure with tape on the non blade side of the nested 2 dies. Cut both a circle frame from yellow and white cardstock. Adhere the yellow over the front circle and the white frame over the inside of the circle. 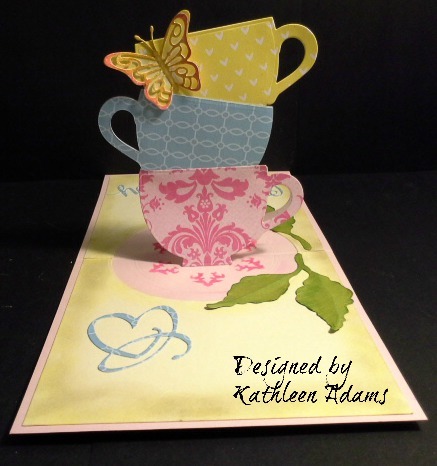 The next step is to stencil the inside right of the card using my all time favorite stencil! Elizabeth Craft Designs: Earth and Sky Stencil I have used this stencil for the sky on any of my cards that were an outdoor scene. (At least 50 cards) If you don’t have it GET IT! 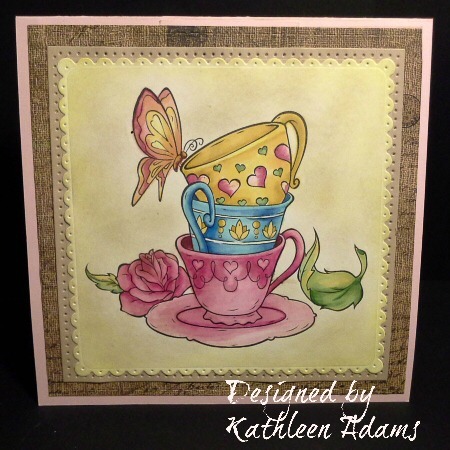 On the Elizabeth Craft Designs You Tube channel there is a tutorial of Susan Tierney Cockburn using this stencil. I always use Pan Pastels but you could use ink too. Cut the “happy thanksgiving” sentiment from brown cardstock. The two die sets I used for the tree and wheelbarrow for the inside unfortunately are retired but they are: 781 – All Seasons Tree by Karen Burniston and 933 – Wheelbarrow by Elizabeth Craft Designs. The leaves are 3 dies from the “all seasons tree” set. 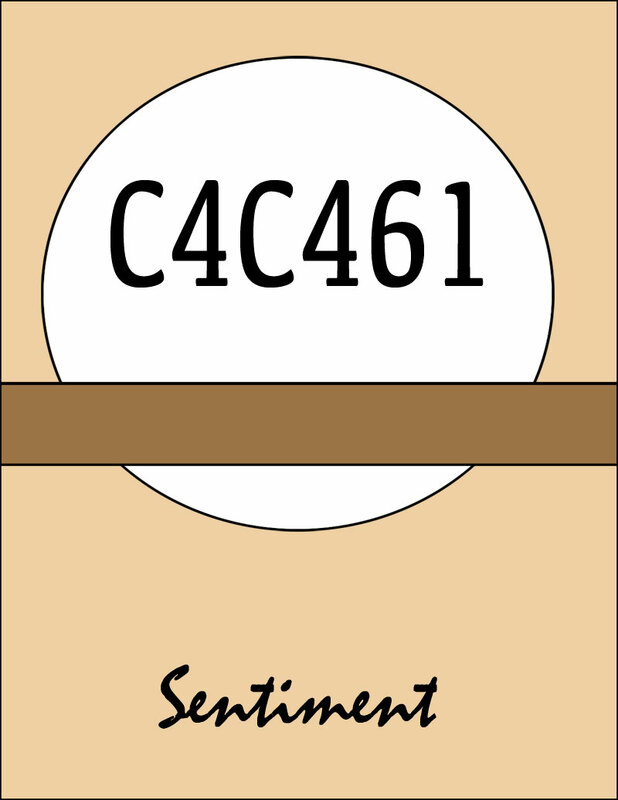 The grass strip across the bottom of the circle on the front and back of the card is also a retired set from Karen Burniston 914 – Outdoor Edges. October 19, 2018 October 18, 2018 Kathleen AdamsLeave a Comment on It’s sketch week! Since I am the hostess for October, I got to design the sketch. I thought this layout would be suitable for any theme and if you hop on over to the challenge blog: Crazy4Challleges you will see the design team came up with all different takes on this sketch! I cut the bats, tree, spider and web from Black cardstock. I also used Karen Burniston’s: 1053 – Alphabet for the word “BOO” and cut the letters from black cardstock. 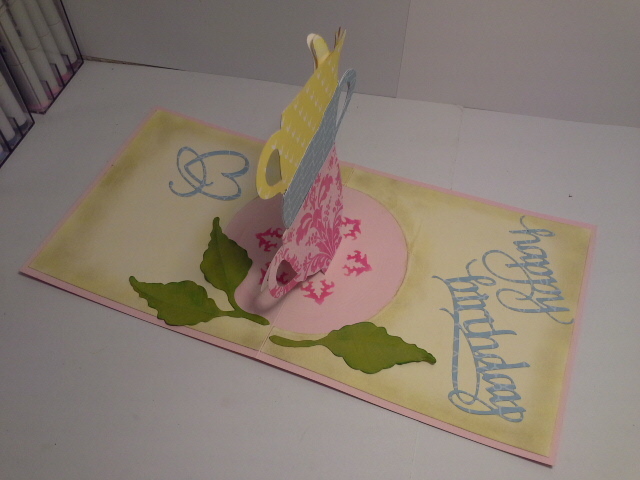 The card measures 5.5 x 7″. Score a pc. of 8.5″ x 11″ at 5.5″ on the long side and fold over for a side fold. Next using Elizabeth Craft Designs: 1118 – Stitched Squares and the 3rd to the largest die cut a square of the White stitches paper then cut the square in half diagonally from corner to corner and adhere to the black base card as shown. I hope you’ll join us for this week’s challenge. We would love to see your take on this sketch. I like this set because each letter is an individual die. Also, they are a nice size coming in at just a tad under once inch. I used 3 colors of ink. First purple, then blended in the blue then a pinky lavender. Then I placed the letters that spell “THANKS’, blade down where I wanted them to end up. By the way, it looks as if I spaced the dies out, but actually all the 6 dies touched each other side by side. Now run this through your cutting machine. Save the letters that were cut out. Step 2: Adhere the remainder of the stamped piece to a same size rectangle of the pinky lavender cardstock. This makes it more stable to add the letters back into it. Now cut all the letters out of the same pinky lavender cardstock 4 times. Glue all 4 of the layers together for each letter. Then glue the letters you cut out of the stamped image on top of the 4 pink stacked layers letters, but offset this layer just a smidge. Now glue each stacked letter back into the card. I know, what? But look at it again in the picture and the above makes sense! Hopefully! Step 3: THE LAST STEP! Make two more matts that coordinate with the ink colors you chose. Score an 8.5″ x 11″ piece of cardstock at 5.5″ on the 11″ side. Fold over and trim to the size you need for your project. Now assemble the card. Thanks so very much for taking a look. If you haven’t tried this technique before I hope you’ll give it a try!